The Bible is clear that Christians are in a battle. Many of us are familiar with the term "spiritual warfare" but have trouble gaining a scriptural approach to it. 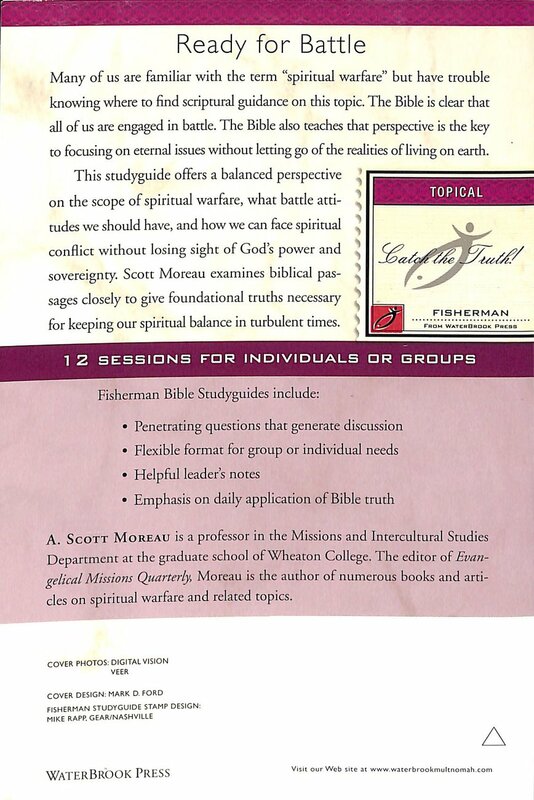 This studyguide offers a balanced perspective on the scope of spiritual warfare, what battle attitudes we should have, and how we can face spiritual conflict without losing sight of God's power and sovereignty. Contains 12 studies for individuals or groups. 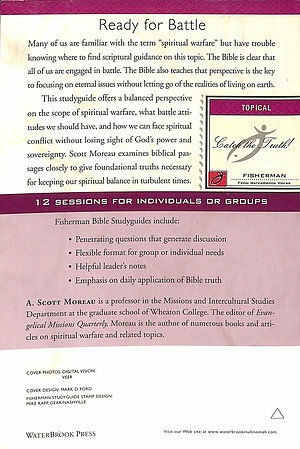 Spiritual Warfare by A.S. Moreau was published by Waterbrook Multnomah in July 2004 and is our 47508th best seller. The ISBN for Spiritual Warfare is 9780877887775. Be the first to review Spiritual Warfare! Got a question? No problem! Just click here to ask us about Spiritual Warfare.